With the July launch of music streaming service Spotify, it looks like the newly-available handset streaming functionality portion of the service for iPhone and Android could be kicking off a wave of competition among other providers. Yesterday it was announced that Rhapsody had paired off with MetroPCS for what essentially looks like a pared down yet analogously priced version of Spotify Mobile. Now RIM- who by all accounts could use a bit of a boost- is reportedly getting in the streaming music game. 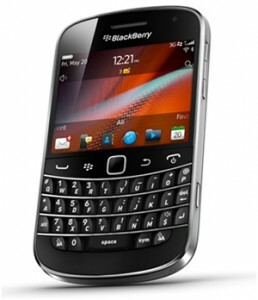 BlackBerry has suffered with the rise of the iPhone and subsequently the Android as a less-versatile, enterprise only device. Perhaps the rumored music service RIM is looking at for BlackBerry could help propel the brand further for more entertainment focused users- but the thing is, no one really knows what RIM is considering, and all information on the initiative is speculative. Another interesting facet of the rumor is cost- it is said the BlackBerry service will be less expensive than Spotify and Rhapsody apps for mobile. The service is believed to have more of a social bent than strictly content streaming services, and an announcement could come late this week or early next week. RIM executives would not comment on the buzz.